THE RAINBOW AND TAGS trials have demonstrated strong evidence to support the use of ramucirumab (Cyramza) and TAS-102 (trifluridine/tipiracil; Lonsurf) in patients with advanced gastric or gastroesophageal (GEJ) cancer who have progressed on first-line therapy. However, additional data suggest that with proper patient selection, immunotherapy will become equally as valuable to patients with progressive disease. 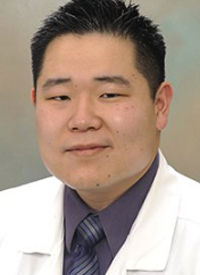 In a presentation during the 2019 OncLive® State of the Science Summit™ on Gastrointestinal Cancers, Joseph Chao, MD, an assistant clinical professor in the Department of Medical Oncology & Therapeutics Research at City of Hope, discussed the impact of these trials on the field and highlighted other recent updates in the space. One of the more provocative trials to come from the 2019 Gastrointestinal Cancers Symposium was the phase III KEYNOTE- 181 trial, which examined the use of second-line pembrolizumab (Keytruda) versus investigator’s choice of chemotherapy in patients with advanced/metastatic esophageal cancer. Patients had to have advanced or metastatic adenocarcinoma or squamous cell carcinoma of the esophagus, Siewert type 1 GEJ adenocarcinoma, measurable disease per RECIST v1.1 criteria, and an ECOG performance status of 0 or 1, to be eligible for participation. A total of 628 patients were randomized 1:1 to receive either 200 mg of pembrolizumab monotherapy (n = 314) every 3 weeks for up to 35 cycles, or investigator’s choice of chemotherapy (n = 314), which consisted of 80 to 100 mg/m2 of paclitaxel on days 1, 8, and 15 of 4-week cycles, or 75 mg/m2 of docetaxel every 3 weeks, or 180 mg/m2 of irinotecan every 2 weeks. The primary endpoint of the study was overall survival (OS) in 3 subgroups: intent-to-treat (ITT) population in addition to those with a PD-L1 combined positive score (CPS) ≥10, and those with squamous cell histology. In the PD-L1 CPS ≥10 cohort, the median OS was 9.3 months (range, 6.6-12.5) in the pembrolizumab arm and 6.7 months (range, 5.1-8.2) in the chemotherapy arm (HR, 0.69; 95% CI, 0.52-0.93; P = .0074).1 These patients also experienced the greatest benefit in progression-free survival (PFS) and objective response rate (ORR) with pembrolizumab monotherapy compared with other subgroups, said Chao. The median OS in the squamous cell subset was 8.2 months (range, 6.7-10.3) in the pembrolizumab arm and 7.1 months (range, 6.1-8.2) in the chemotherapy arm (HR, 0.78; 95% CI, 0.63-0.96; P = .0095); this failed to reach statistical significance per a pre-specified statistical plan, explained Chao. Pembrolizumab also failed to demonstrate significance in the ITT population with a median OS of 7.1 months observed in both arms (HR, 0.89; 95% CI, 0.75-1.05; P = .0560). “[Results suggest] that without biomarker selection, there’s dilution in terms of the response rates with pembrolizumab,” added Chao. The rate of grade ≥3 toxicities was lower in the immunotherapy arm (18.2%) than in the chemotherapy arm (40.9%); however, 23.2% of patients experienced an immune-related adverse event. The median PFS in the ITT population was 5.85 months and 5.55 months in the experimental arm and control arms, respectively (HR, 0.75; 95% CI, 0.63-0.91; P = .0024). The median OS was 11.17 months with the ramucirumab combination versus 10.74 months with placebo (HR, 0.96; 95% CI, 0.80-1.16; P = .68), which was not statistically significant. Because the third-line setting of metastatic gastric/GEJ cancer remains undefined, said Chao, investigators launched the phase III TAGS registration trial. In this trial, patients who had received ≥2 prior lines of therapy were randomized 2:1 to receive either 35 mg/m2 of TAS-102 twice daily on days 1 to 5 and 8 to 12 of each 28-day cycle plus best supportive care (n = 337), or placebo plus best supportive care (n = 170).4 The majority of participants had gastric cancer (n = 142) and had received platinum chemotherapy or fluoropyrimidine, although one-third of patients had been exposed to ramucirumab, noted Chao.